After a week of daily feasting I need a change in my cooking, some fresh aromas to shake my taste buds a little. Together with my Maltese sister Emma and her boyfriend Mariano we savoured like the Romans, the table was practically piled with paté and cheese, roasts, pies and cookies every day. I need a culinary turnaround to bring back some hot spiciness and light fruitiness to my kitchen. I loved the opulence of December and enjoyed each bite but every feast has its end and I’m definitely ready for that! I went shopping (the best way to get some inspiration) and seafood was first on my list. I wanted to get a big bag of mussels to steam with fresh fennel, ginger and lots of garlic but a large fillet of salmon changed my plans. It just looked too good so the mussels have to wait. 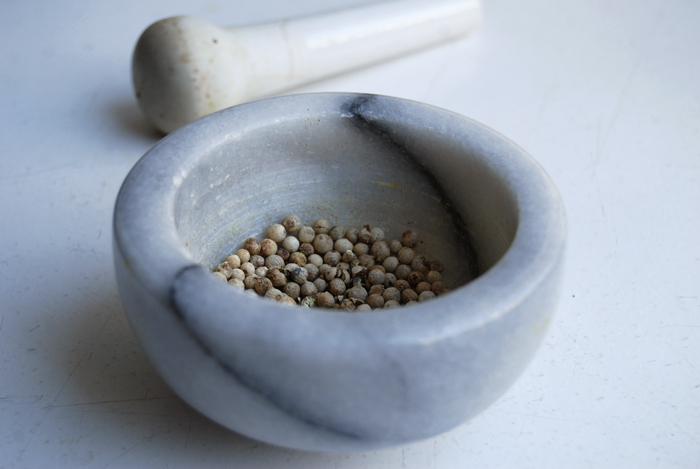 Back home, I took out the mortar, the white peppercorns which I have neglected for months, coriander seeds and an orange. There are tons of oranges in my kitchen at the moment, it looks quite Mediterranean and brings in some brightness to contrast Berlin’s monotonous winter grey. I like to squeeze a couple fruits for our morning juices, grate their skin for almost everything I put into the oven and enjoy their fillets as a snack from morning until midnight. 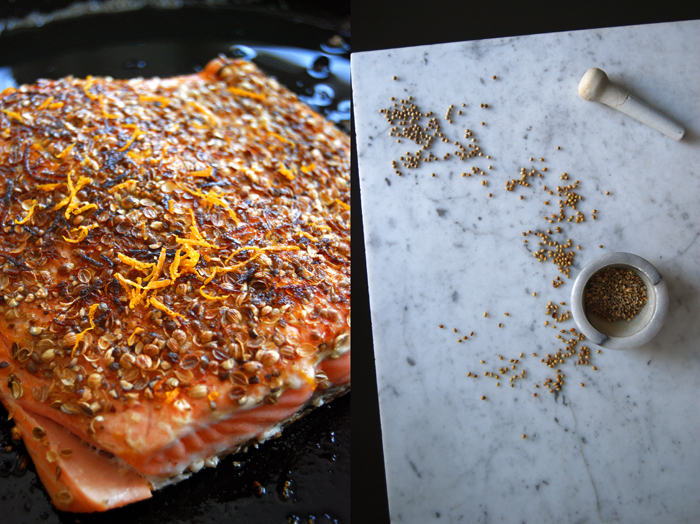 For my salmon, I just used the grated skin mixed with crushed peppercorns and coriander for an aromatic crust. It was strong but the the fish’s pink meat can take it. 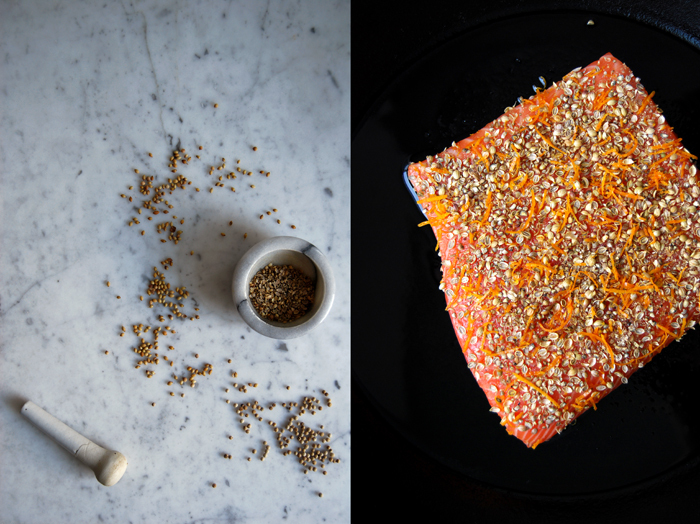 I find it easiest to brush the salmon with an egg wash before I dip it into the spices, they stick to it and turn into a crunchy topping. I cooked my salmon in a pan but you could also fry it for just a minute and finish it in the oven. For the crust, I used a bit of orange zest to cook with the fish and sprinkled it with half a teaspoon when it was done. Next time I would put the zest on in the end as the little citrus bits can easily turn dark in the pan and most of the flavour came from the fresh zest anyway. The result was spicy and fresh, exactly what I needed on the table! 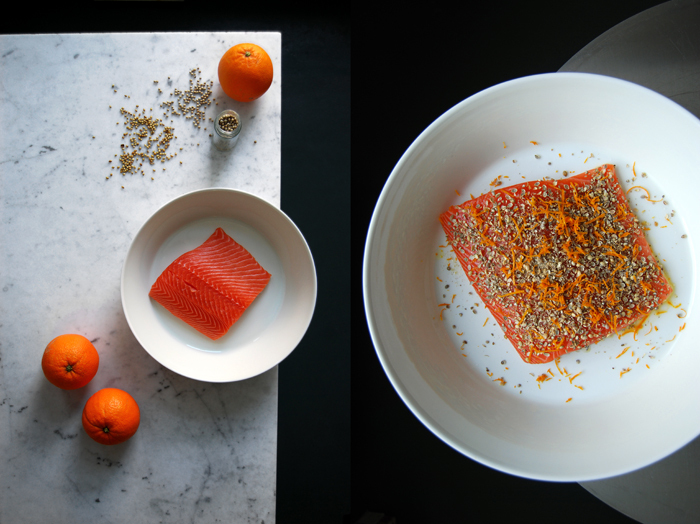 Dip the salmon in the egg wash (just the side without skin). Mix the coriander and pepper, spread the spices on the pink side and push them gently into the egg wash.
Heat a splash of olive oil in a pan and cook the salmon on medium heat skin side first. Add a little more oil if necessary and quickly turn the fillet around. Turn the temperature down to a medium-low and cook for just 2 minutes. Turn it around again and finish on the skin side for another 2 minutes or until it’s cooked through. 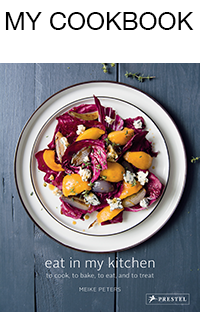 Season with salt and sprinkle the warm crust immediately (in the pan) with orange zest. 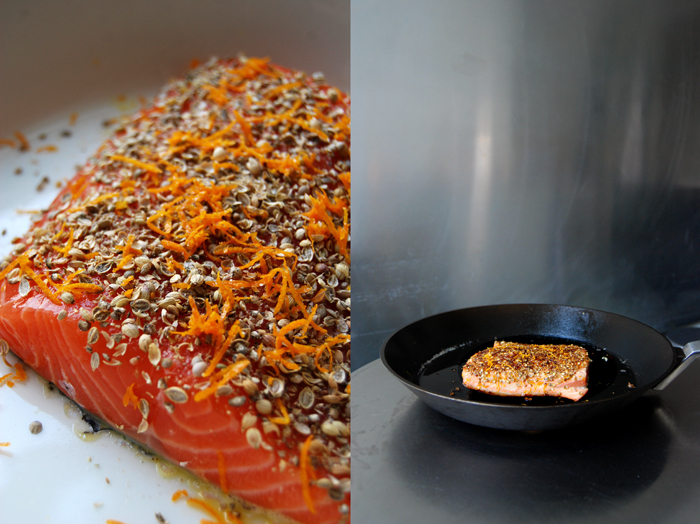 If you prefer to cook the salmon in the oven, fry it for a minute on each side before you sprinkle it with orange zest and cook it in the 200°C / 390°F hot oven for about 6-8 minutes depending on the fillet’s thickness.